By late 1965, Jim knew that his performing partner, Frank Oz, was on the verge of being drafted and looked around for additional talent to fill in for Frank. 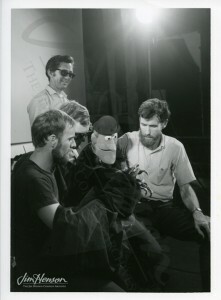 At the time, Jim’s high school friend Bob Payne was working with Bil Baird’s troupe and suggested to his fellow puppeteer Jerry Nelson that he contact Jim about opportunities with the Muppets. An actor, singer and an immensely talented puppeteer, Jerry was a native Oklahoman but, like Jim, had spent his formative years in Washington, DC. During college, both men worked at WRC-TV for a brief overlapping period but did not meet at that time. One of the earliest projects Jerry did with Jim was in October 1965, performing on Jim’s television pilot Cinderella. Frank was still around, but Jim tried Jerry out with Rowlf, having him perform the right hand for a couple Jimmy Dean Shows taped in Hollywood. Frank did the next California trip later in the month, but Jim seemed happy with Jerry’s work and hired him. Frank’s induction date was scheduled for February, but to his good fortune, he ended up not having to serve. He decided to take a break from the Muppets anyway and headed to Europe for six months, leaving the spot open for Jerry Nelson. Jerry performed as Rowlf’s right hand for the remainder of The Jimmy Dean Show’s television run. The last show was taped on March 25th, 1966, and then Dean and Rowlf (with Jim and Jerry in tow) went on tour. Performances were held at the Syria Mosque in Pittsburgh, in San Carlos, and in Salt Lake City. Jerry and Jim took a trip through Bryce Canyon National Park and rejoined Dean for shows in Anaheim. Later in the summer, Dean and Rowlf appeared in Lake Tahoe, Portland, Seattle, Spokane, Asbury Park, and Baltimore. In between, Jim, Jerry Nelson and Jerry Juhl did other television appearances, including a full week on The Mike Douglas Show, shot commercials, and performed at an IBM event in the Bahamas. 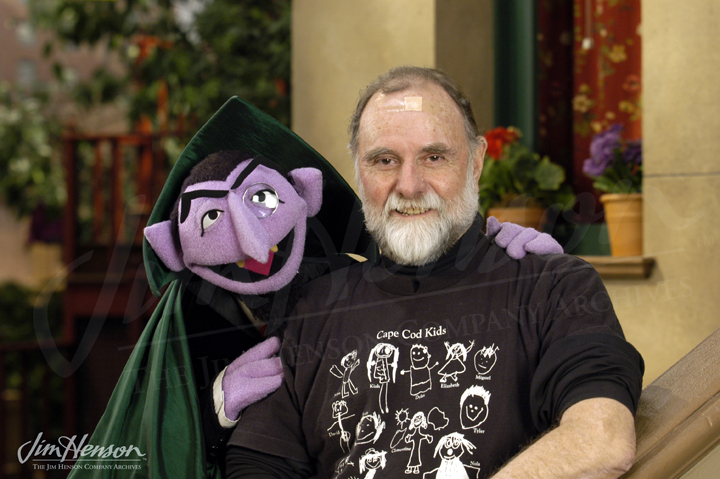 Frank Oz rejoined the group that September, but Jerry Nelson continued to work with The Muppets when needed, eventually becoming a permanent and essential part of the team. Audiences today know Jerry as Count von Count on Sesame Street, Robin the Frog and Floyd from The Muppet Show, Scred from Saturday Night Live, Emmet Otter, and Gobo Fraggle. Jerry Nelson with Don Sahlin, Frank Oz, and Jim on set for the FHA, mid-1960s. 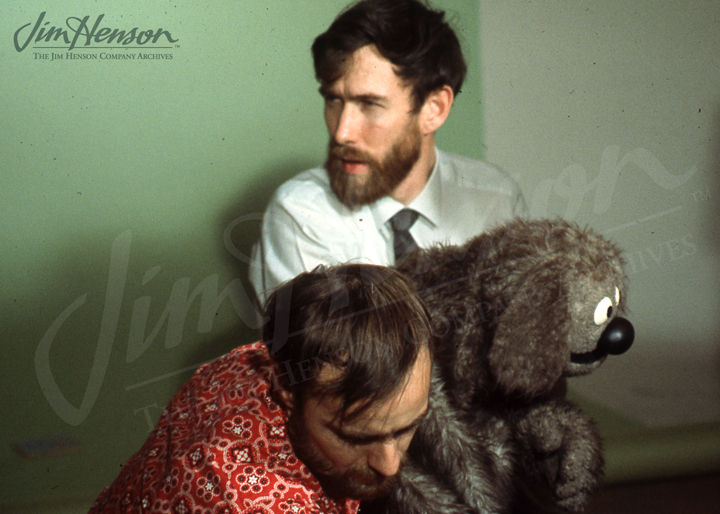 Jim and Jerry Nelson performing Rowlf for IBM, late 1960s. Jerry Nelson with The Count. Photo by Richard Termine. This entry was posted in 12-December '65, 1965, Appearances and tagged Bil Baird, Bob Payne, Cinderella, Count von Count, Emmet Otter, Floyd, Frank Oz, Gobo, Jerry Nelson, Jimmy Dean Show, Muppets, Robin the Frog, Rowlf, Saturday Night Live, Scred, Sesame Street, The Mike Douglas Show, The Muppet Show, WRC-TV. Bookmark the permalink.